This is a fun event that allows you to help start a difficult conversation with friends, family and co-workers about sexual assault in our community. When you order a flock of flamingos to land in a yard in Butte, you are not just sending a bundle of fun birds to rest there for a day, but valuable information on preventing sexual assault, how to cope with an assault, and the services available from Safe Space if you or someone you know is a victim. For only a $20 requested donation, you can have 10 birds land in almost any lawn in Silver Bow county! 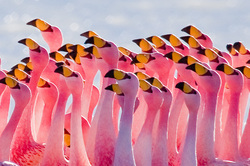 This is made possible by our team of Volunteer Flamingo Technicians. 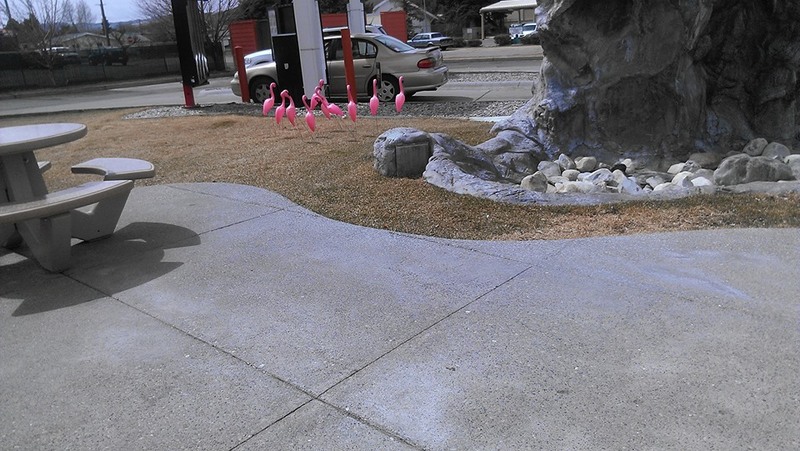 The Flocks have migrated out of Butte for the season, but will return again in 2016 with new awareness and fun! 2014 Flocking Photo Gallery - Thank you all for sharing with us!